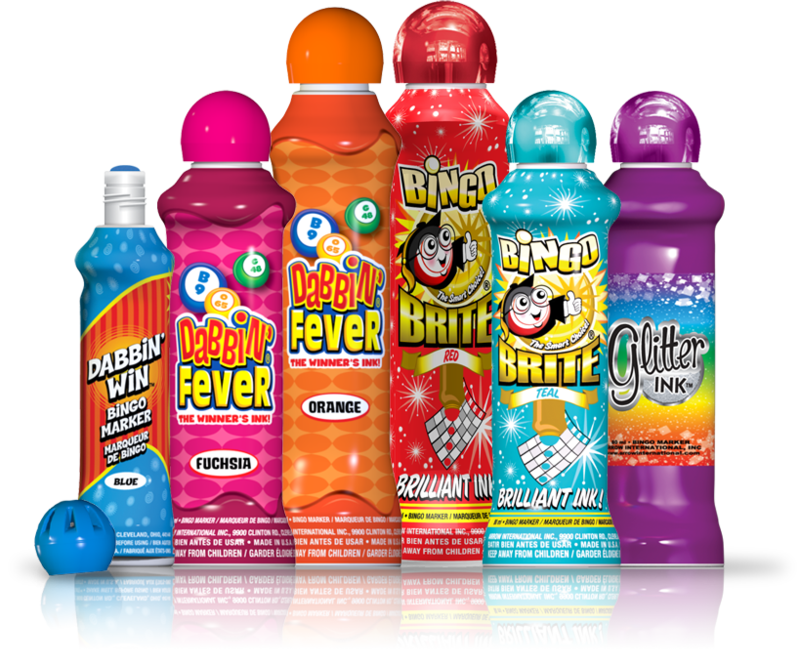 Event games (also called ball or dab games) combine the best of bingo and pull tabs into one exciting game. 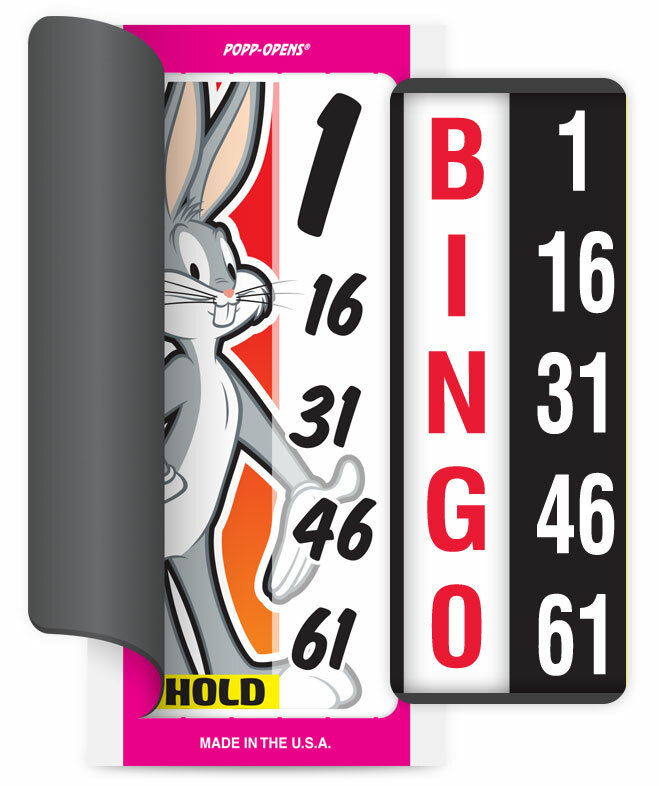 Like seal card games, bingo event games have a set of "HOLD" tickets. 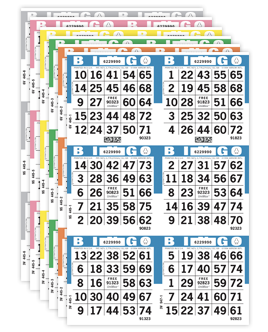 The "HOLD" tickets in a bingo event game traditionally contain one or more bingo ball numbers (B1-O75) and/or "HOLD" numbers. These tickets are usually dabbed by players as a bingo game is being called, giving players additional chances to win a larger prize(s). Arrow's bingo event games are available with a variety of ticket counts, number of hold tickets, play styles, and ways to win. There are three basic event games with different ways to determine a winner - dab or coverall games, downline or derby games, and last ball games. Dab Games are bingo event games with more than one bingo number on a ticket. The winner is the first player who dabs all the numbers on their ticket during the designated bingo game. 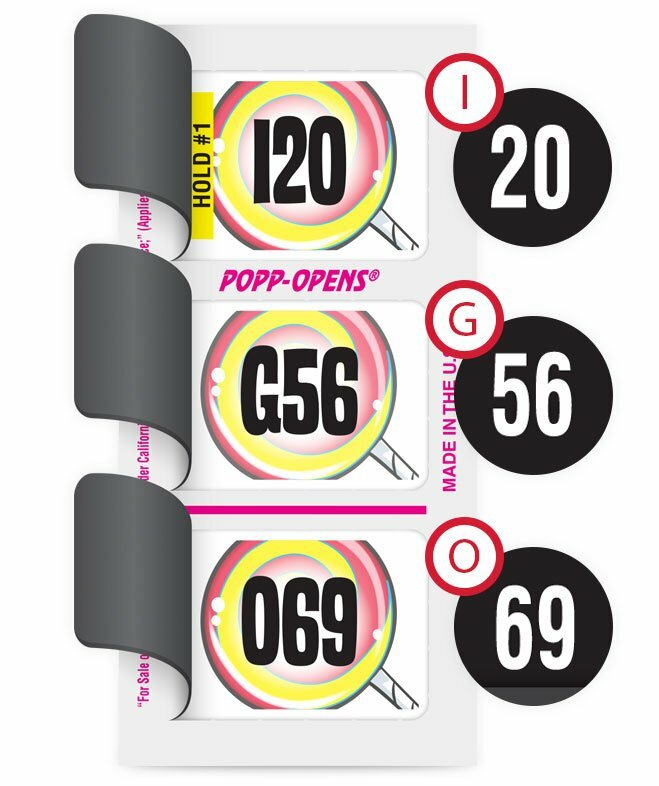 Downline games consist of event tickets containing the same numbers as the downlines on a flashboard. The winner is the holder of the ticket with the first downline completed during the designated bingo game. 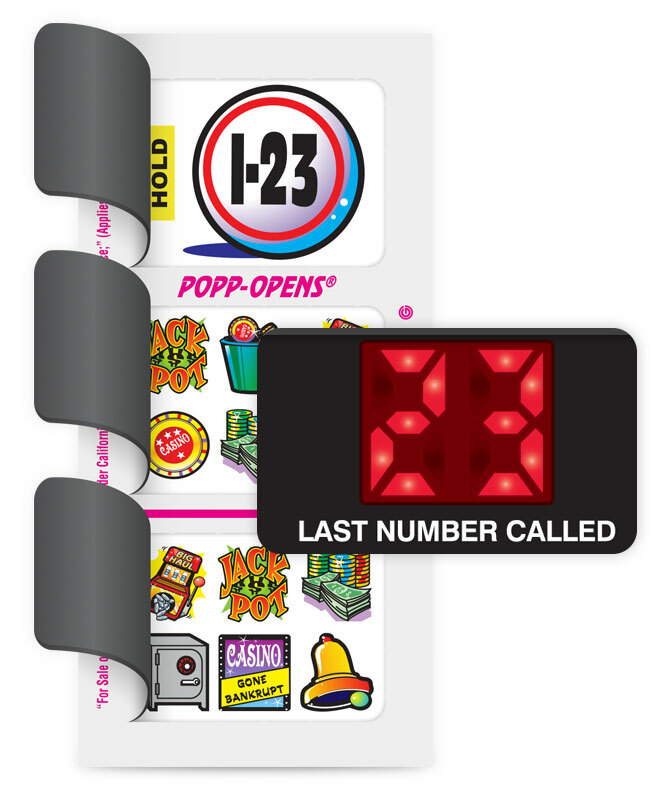 In a Last Ball game, the player with a hold ticket that contains the last number called in the designated bingo game is the winner. This type of game is also referred to as a Single Ball Game. Small changes to your game can have a big impact. Sometimes, all it takes to invigorate floor sales and add new players is the spark of excitement from a new game or idea that you've never offered before. Once players experience a new style of play, like a bingo event game, they may be ready to try all kinds of new games! Bingo event games add more fun and excitement to your regular bingo games that can help to get players in the door. Smaller ticket counts mean faster ticket sales and quicker gameplay. 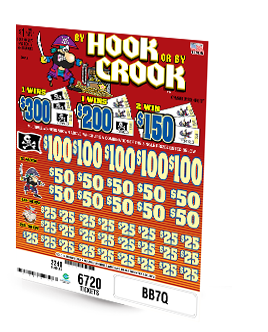 Instant win prize payouts are often used by players to purchase additional tickets. Event game winners aren't paid out until the entire ticket deal is sold. In addition to playing to win the regular bingo game, event games give players the opportunity to win even more prizes. Suspense will build throughout your bingo session, adding excitement to the game, until the the bingo event winner is finally revealed. Bingo event games are an inexpensive way for players get in on the action!